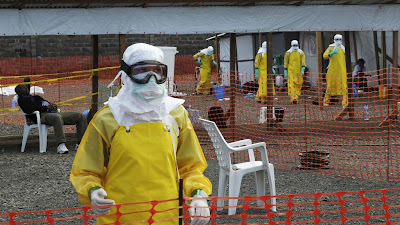 According to report, the head of the World Health Organization, Tedros Ghebreyesus, revealed Tuesday in Geneva that the Ebola virus could spread without being detected in the forbidden areas of North Kivu. So far, 57 confirmed and suspected cases, including 41 deaths, have been known since the end of July in this northeastern region. Tedros, who visited North Kivu last week, said that WHO workers will struggle to fight the virus in so-called "red" areas. These areas are inaccessible because of the hundreds of armed groups that compete mainly for access to mineral resources. "This environment is really conducive to the transmission of the Ebola virus," said the director general of WHO at a press conference. "These red areas could be hiding places for Ebola," he added. Ghebreyesus warned that external access difficult, patients in these areas would have trouble finding medical help. The movement of internally displaced persons in North Kivu and cross-border movements to neighboring countries such as Uganda further complicate the situation. Ebola is a highly infectious disease that causes fever and often leads to massive internal bleeding and death. The Congo Ministry of Health has launched a vaccination campaign that has reached more than 200 health workers and 20 people who have had contact with infected patients since last week, according to the WHO. The new outbreak became public only days after July 24, when Congo said its previous Ebola outbreak was over. This outbreak killed 33 people from May in Equateur province (west).